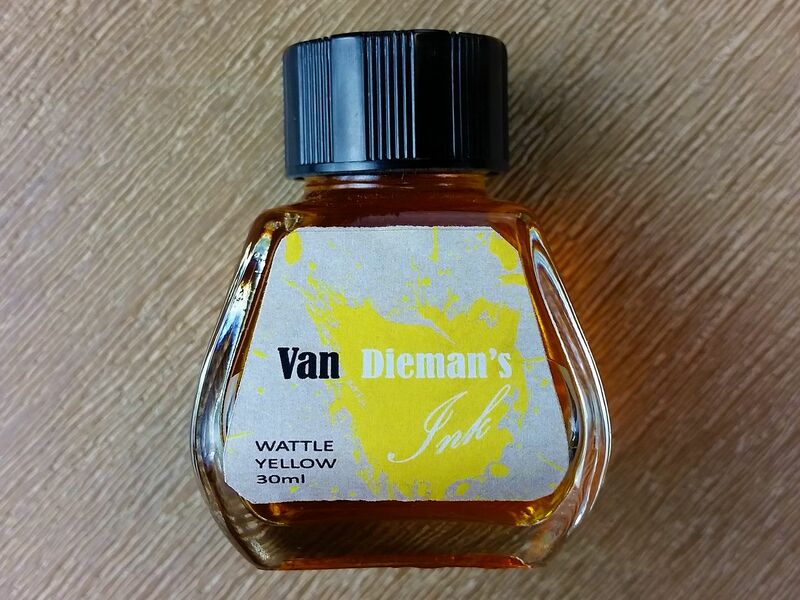 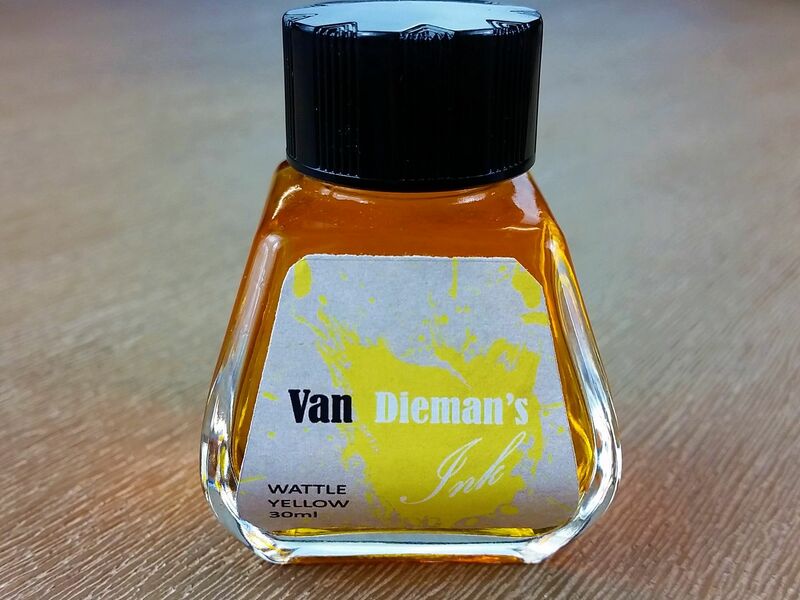 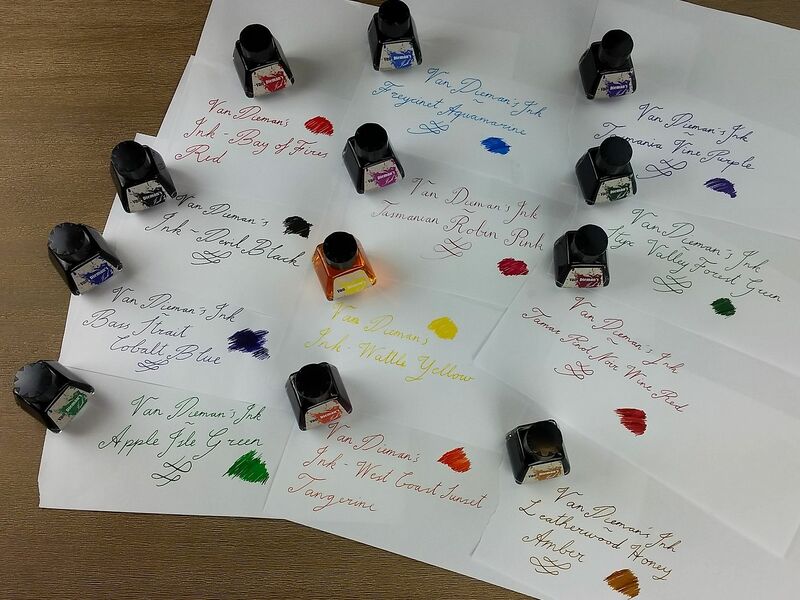 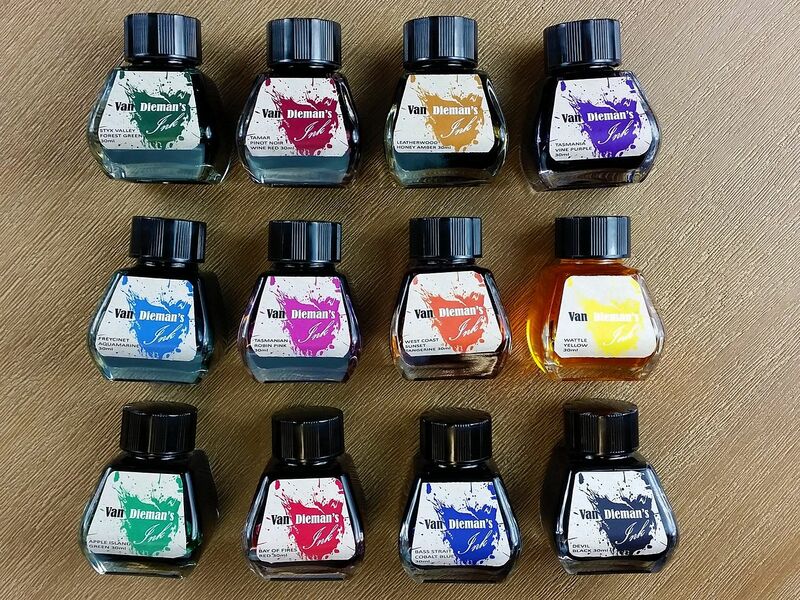 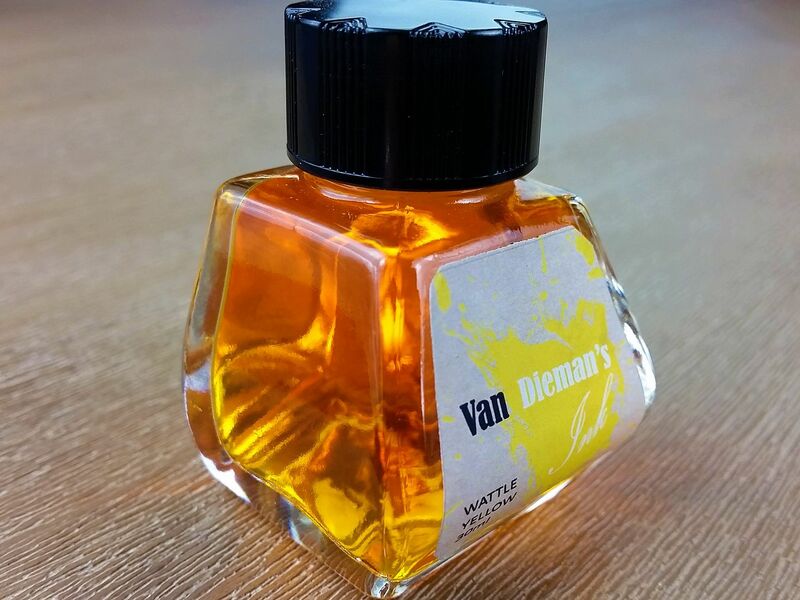 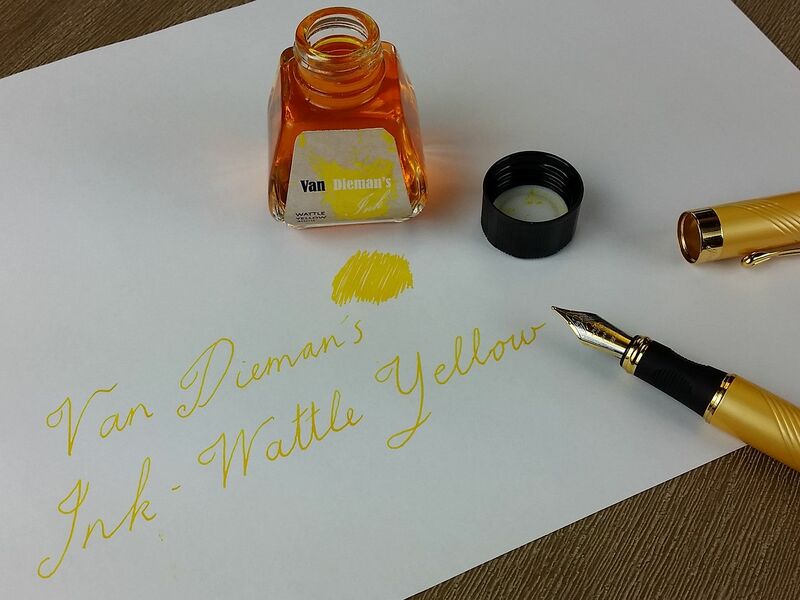 Van Dieman's Wattle Yellow is a bright and vivid colour that gives a luster and freshness to the page in the same way our own national treasure colourfully livens up the bushland and street sides that is grows on. 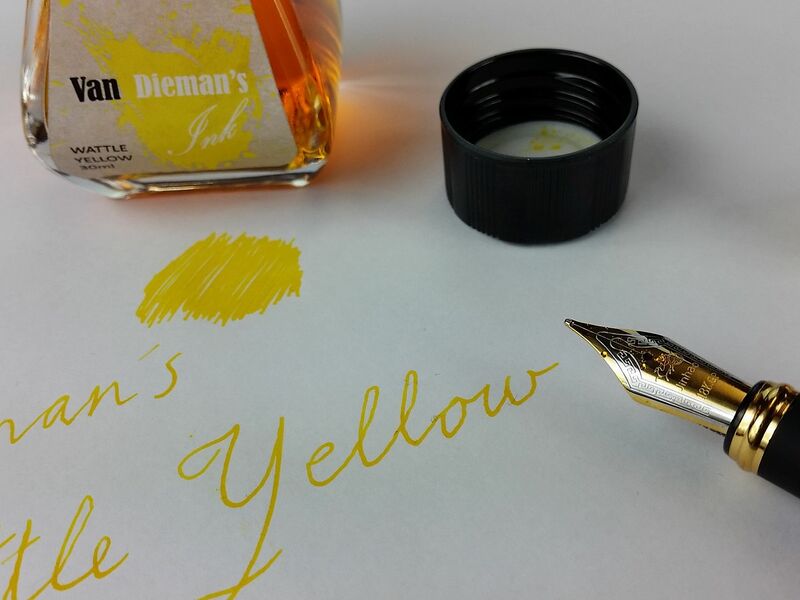 This is definitely on the brighter, whiter side of yellow and almost disappears in direct sunlight. 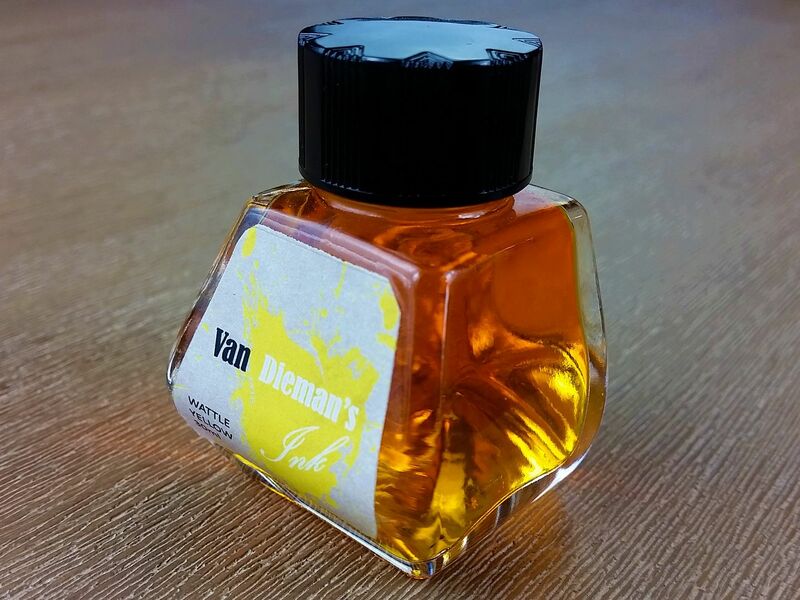 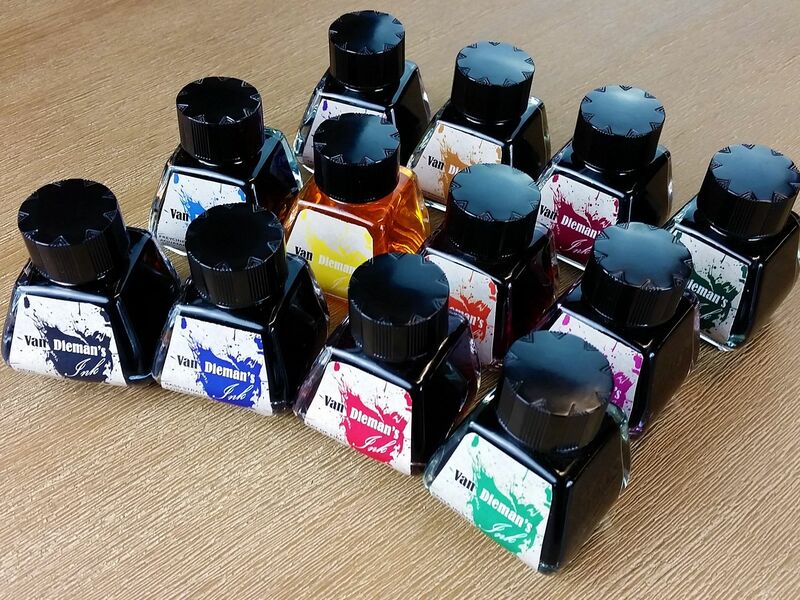 Guaranteed not to clog or clot, you will be very happy with this sweet and delicate little bottle of Australian flora.